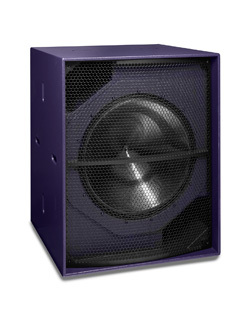 The BR132, is the largest, deepest and most powerful of Funktion-One's bass reflex series of bass loudspeakers. It utilises Powersoft’s high power M-Force linear transducer with Funktion-One’s own cone, surround and enclosure technology. The BR132A self powered with the integrated M-Drive amplifier. It is around 40% smaller than its horn-loaded F132 counterpart and delivers plush elastic bass and super-low frequency extension. It is particularly effective in applications requiring deep, strong and well defined sub-bass at close range.